An original painting & prints of an approaching storm over Mull from Iona, Hebrides, Scotland. An original abstract, atmospheric seascape painting of a storm gathering in the Hebrides, Scotland. Painting & prints of Mull From iona, Scottish Western Isles, hebrides, Scotland by Scottish landscape painter Andy Peutherer. 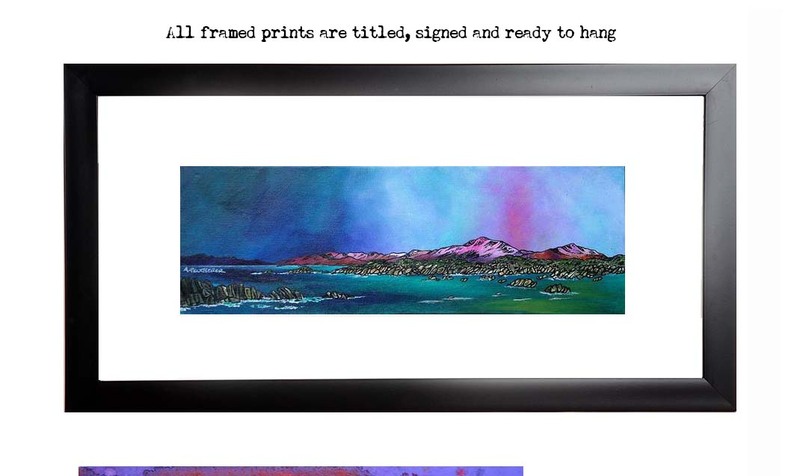 Framed print of Mull & Iona, Scottish Western Isles by Scottish landscape painter Andy Peutherer.